Armenian cuisine is quite popular with its traditional bread called lavash. It is flat, thin and soft bread that can be dried and kept for quite a long term. 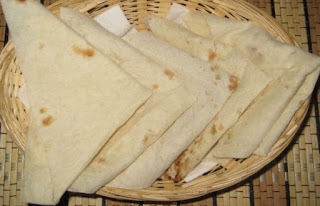 It is the most widespread bread in Armenia and no festive table can be imagined without lavash. Let me introduce lavash recipe. Lavash is made of flour, water and salt. You mսst knead the dough well and leave it to rest. Then divide the dough into 300-400 gram pieces and start rolling. 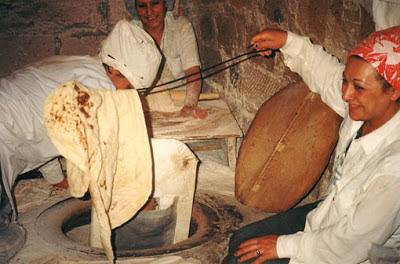 The dough of lavash is rolled out flat and then slapped on the hot wall of underground clay oven called tonir. 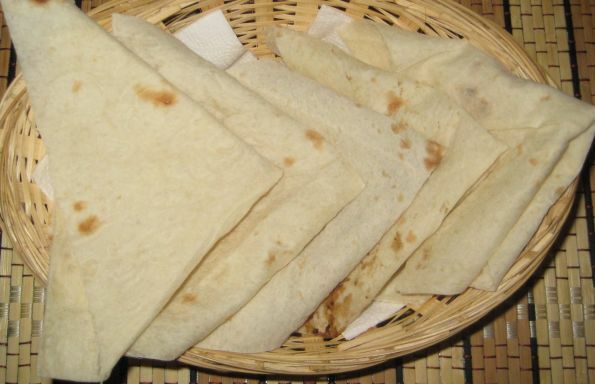 Fresh lavash is easier and suitable for making wrap sandwiches and kebab. Unlike other kinds of bread, yeast or bread starter aren’t used for making Armenian lavash. That’s why it is healthier and suitable for use during any diet. Sometimes villagers of Armenia bake a lot of lavash and stack high in layers to be used in winter, and then when they want to use it, they rehydrate the bread by sprinkling water on it to make it soft again. 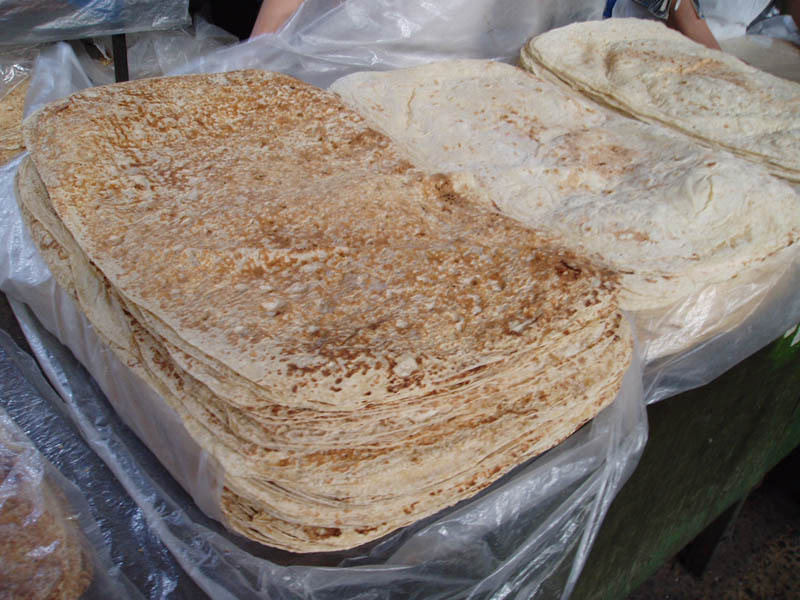 Dried lavash is also used with Armenian traditional dish called Khash.